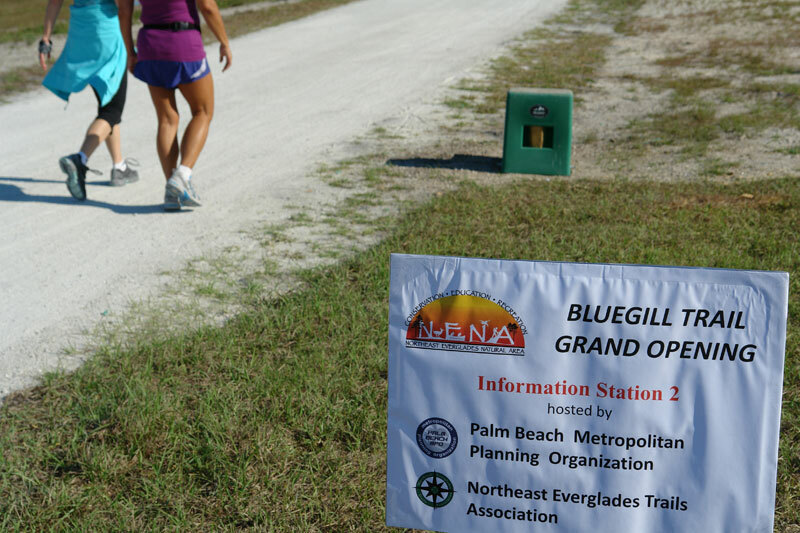 Beautiful weather on the morning of March 19 punctuated the celebratory mood of the 150 attendees who came to mark the opening of the first phase of the Bluegill Trail. 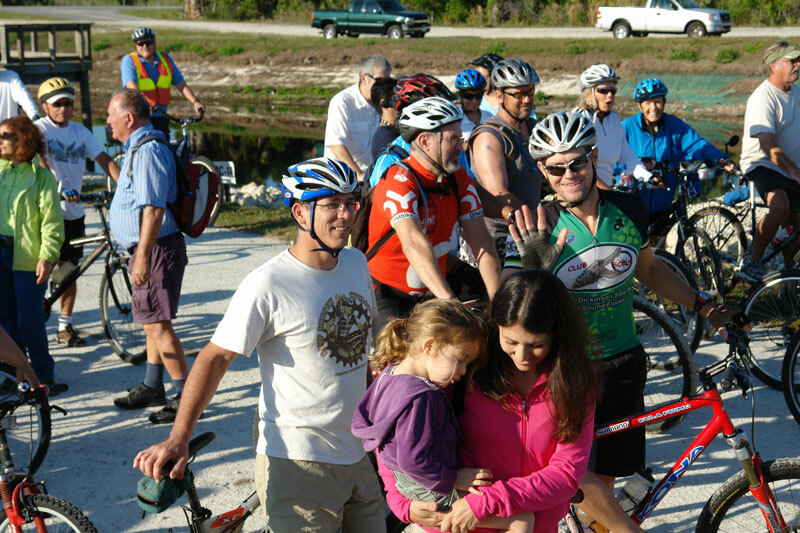 The ceremony was held at Palm Beach Gardens' Sandhill Crane Park, at the Bluegill Trail's southern end. 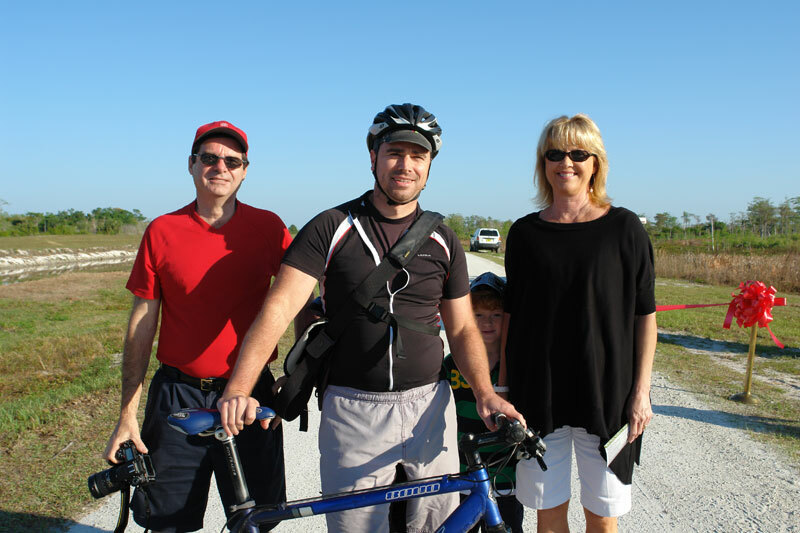 The nearly $800,000 project was funded by the Transportation Enhancement Program (TEP). 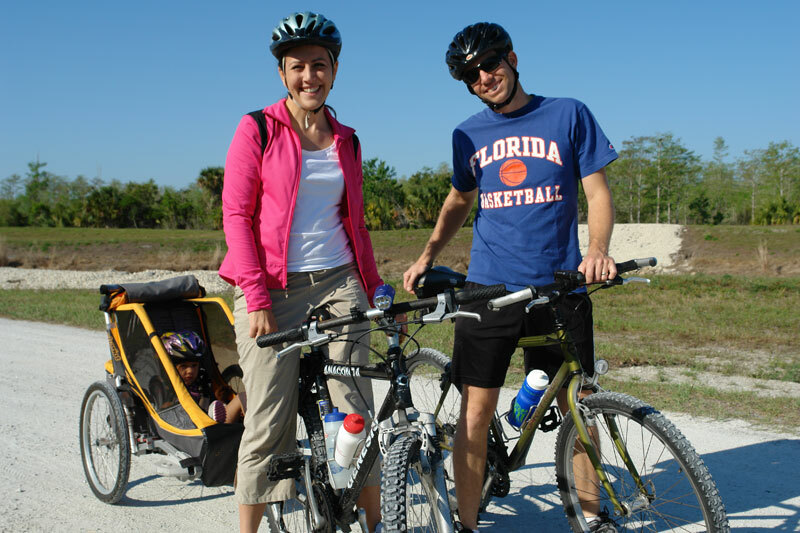 The TEP is an annual funding program that focuses federal transportation dollars primarily on bicycle and pedestrian projects. 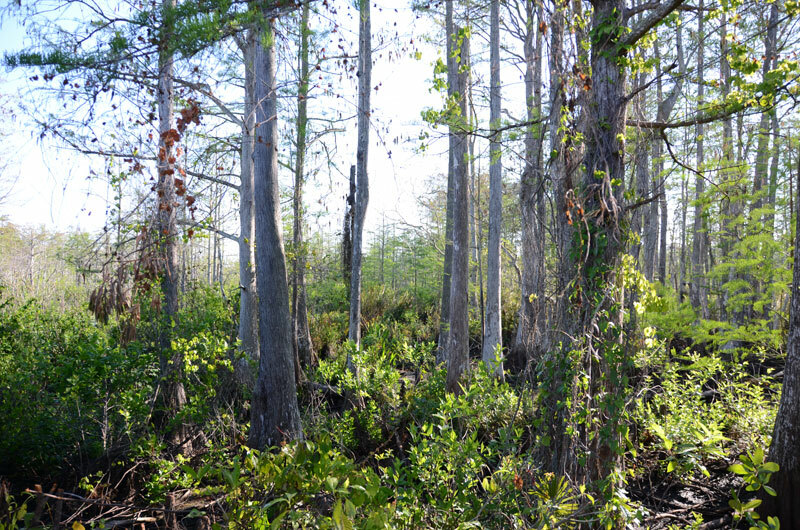 The MPO is charged with administering the competitive grant application process, and funding is typically provided to municipalities and Palm Beach County (PBC) departments. 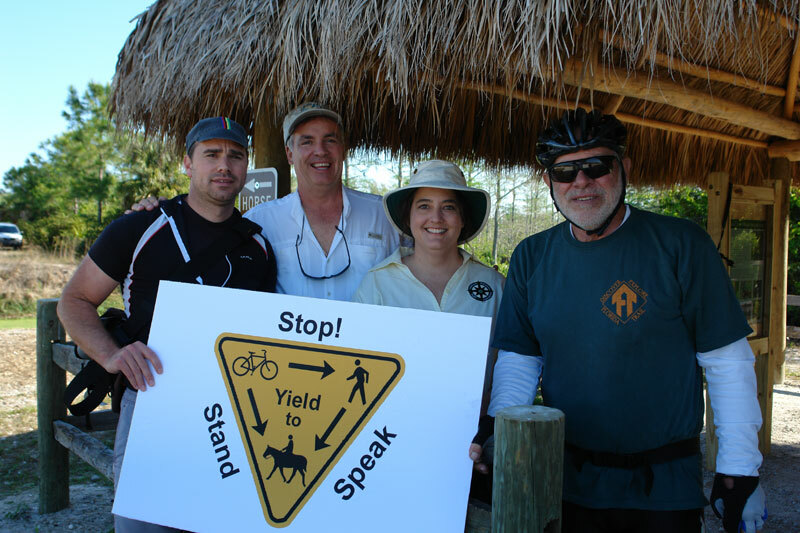 PBC’s Environmental Resources Management (ERM) received TEP funding to construct the Bluegill Trail. 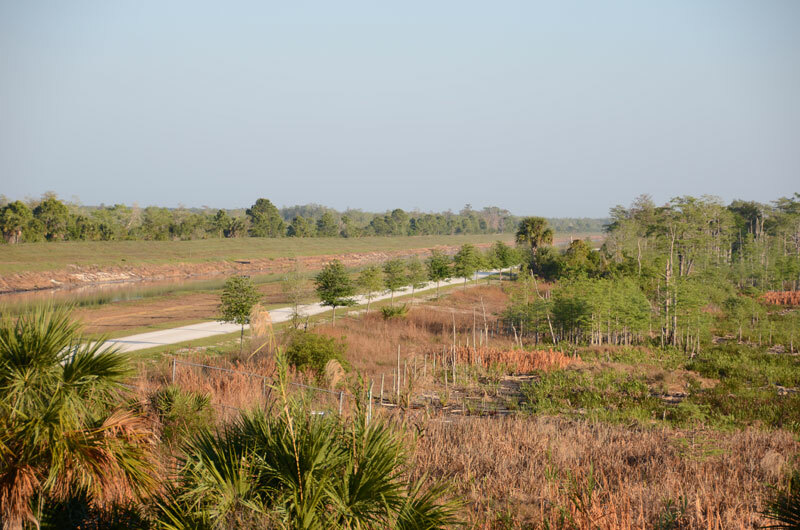 This first phase - 5.4 miles long - extends from PBC’s Riverbend Park west of Jupiter, to the City of Palm Beach Gardens’ Sandhill Crane Park on PGA Blvd., west of Florida’s Turnpike. 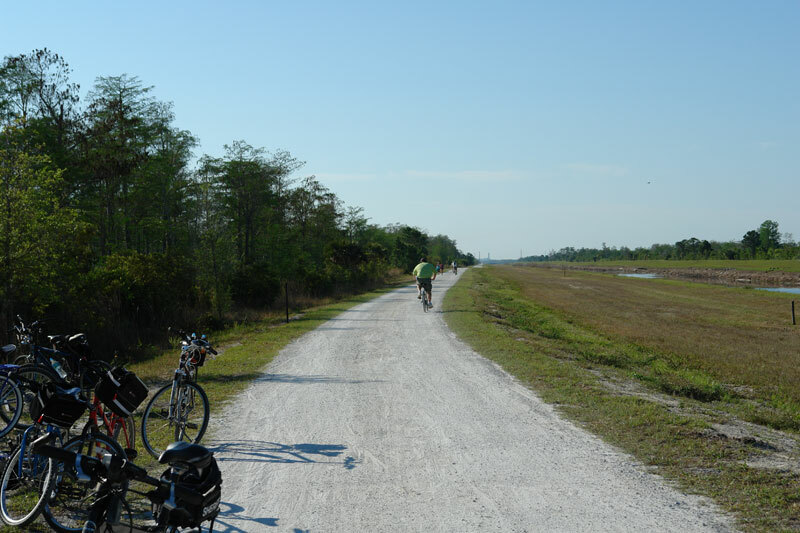 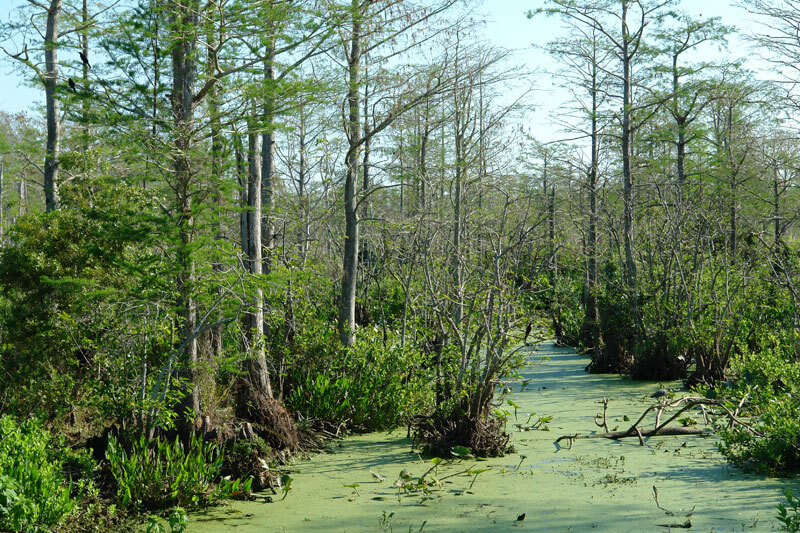 The route provides direct access to conservation lands and visitors facilities, running alongside the C-18 Canal and the Loxahatchee Slough Natural Area, and offers excellent views of the surrounding landscape. 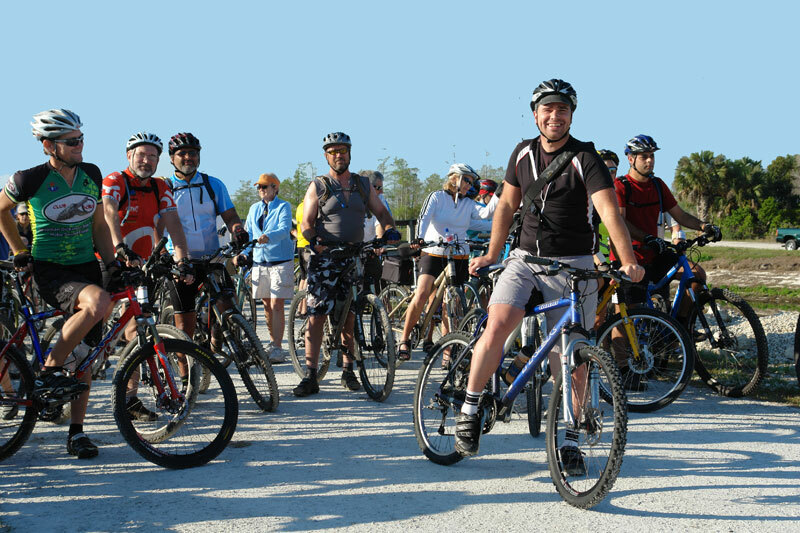 The ten-foot-wide hardened shell rock pathway will allow for easy hiking and accommodates all skill levels of bicyclists. 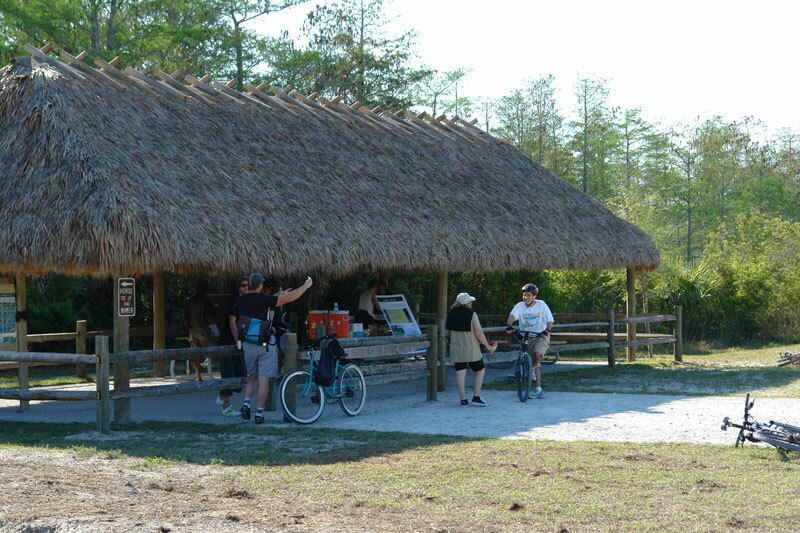 Equestrians will have the option of using the pathway or the softer areas adjacent to the trail. 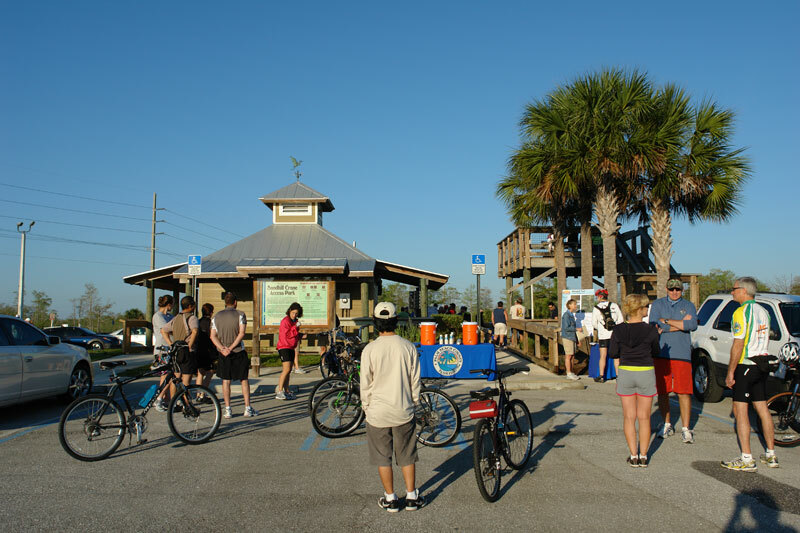 Additional highlights of the Bluegill Trail include a chickee hut, informational kiosks, native trees for habitat and shade, a bridge over the canal, and a hand pump well offering non-potable water for equestrian use. 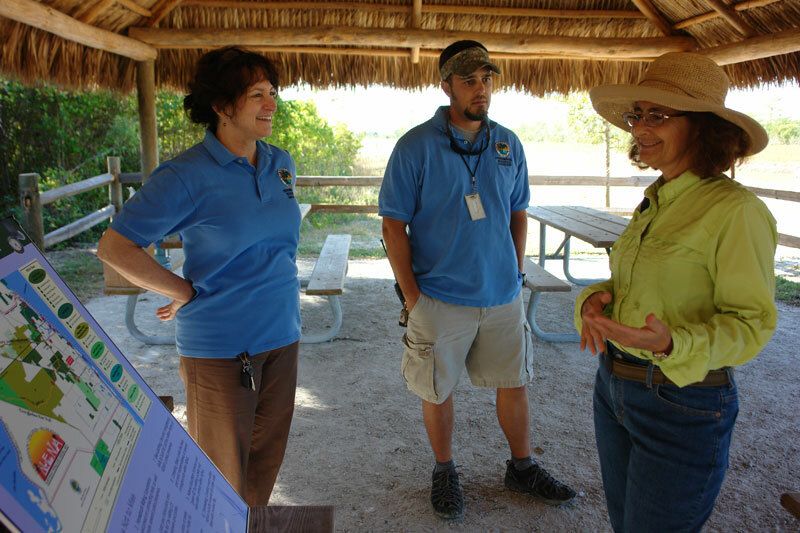 The project is the first trail facility to be fully developed as part of the footprint of the Northeast Everglades Natural Area (NENA). 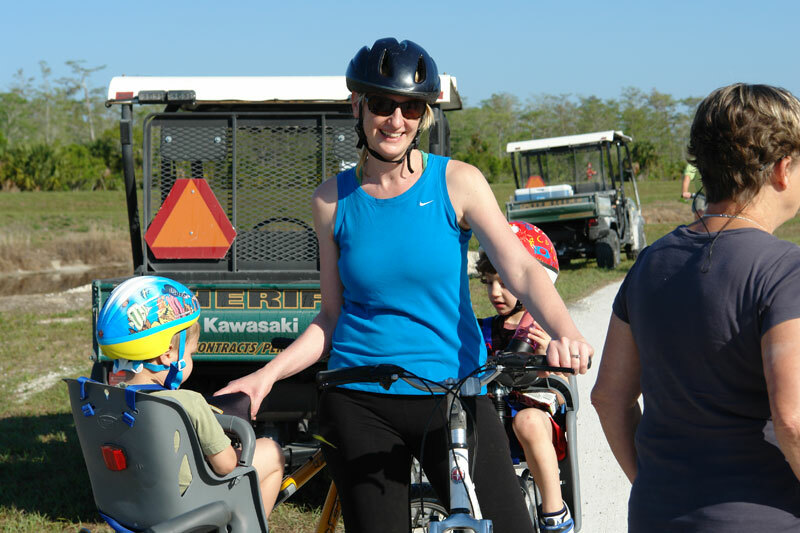 NENA is a collection of 165,000 acres of conservation lands and activity centers in northern Palm Beach County and southern Martin County that provides a wide range of nature-based recreational opportunities. 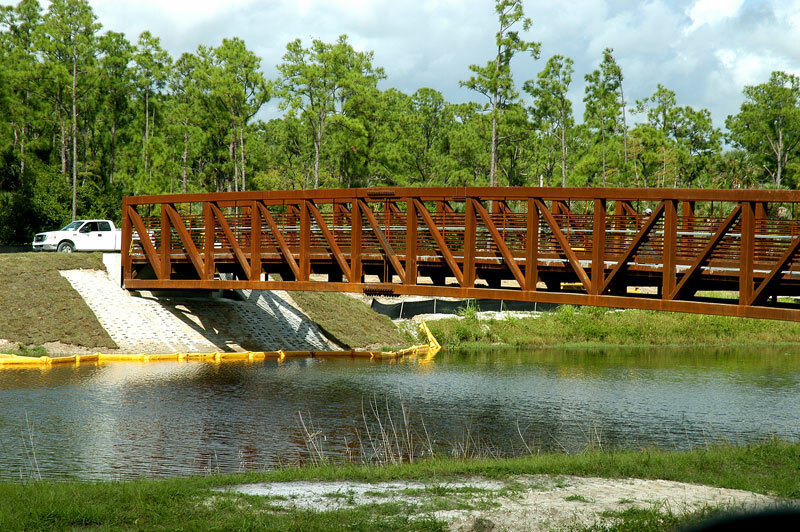 Phase 2 of the Bluegill Trail is planned to run south of PGA Blvd., providing a linkage to Grassy Waters Preserve at Northlake Blvd.